Hello and Welcome to Kettle Cove Dobermans!! and are very proud of all of our dogs, both those in the show rings and those on the couches! We do hope you enjoy your visit! BPISS Can Ch. Fabert N Alexis Robin Hood "Jake"
SBIS Am/Can Ch. Cambrias Caracas of Kettle Cove, WAC, CGC LC-10D "Skylar"
Holland Glen's Air Jordan "Jordan"
BPIS Am/Can Ch. Rebayla's Blue Pearl Of Texas, WAC, RN, CGC, TDI "Pearl"
Ch. Hamrya's Ultimate Survivor "Christy"
Ch. Hamrya's Painted Desert Oasis "Toby"
"With A Solid Foundation Comes A Solid Future"
Kettle Cove Mauna Kea Cool Breeze "Keanu"
Ch. Kettle Cove Mid-Knight Angel, WAC, CGC LC-10D "Noelani"
Kettle Cove N Rebayla Jade, CGC LC-13D "Jade"
Ch. Kettle Cove N Manarjj Smoke N Mirrors, CGC "Smoke"
and are very proud of visit "Our Pride" page and our "In The Ring Now" page!! Visit our FaceBook Page, become a fan and post your Kettle Cove Puppy pictures!! Ch. Mystikos N Kettle Cove Eternal Love, LC-10D "Lola"
Ch. Kettle Cove N Ashtrick Autumn Splendor "Autumn"
Ch. Kettle Cove Red-E To Be Amazed "Gracie"
Ch. 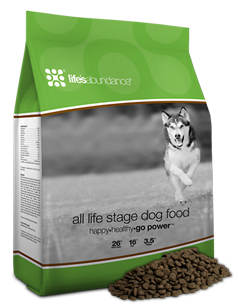 Ashtrick N Kettle Cove Triple Play "Tank"
Life's Abundance All Life Stage Dog food and Dr. Kruger's Healthy Skin & Coat Formula!! Doberman as it is a genetic mutation.